Welcome back ! 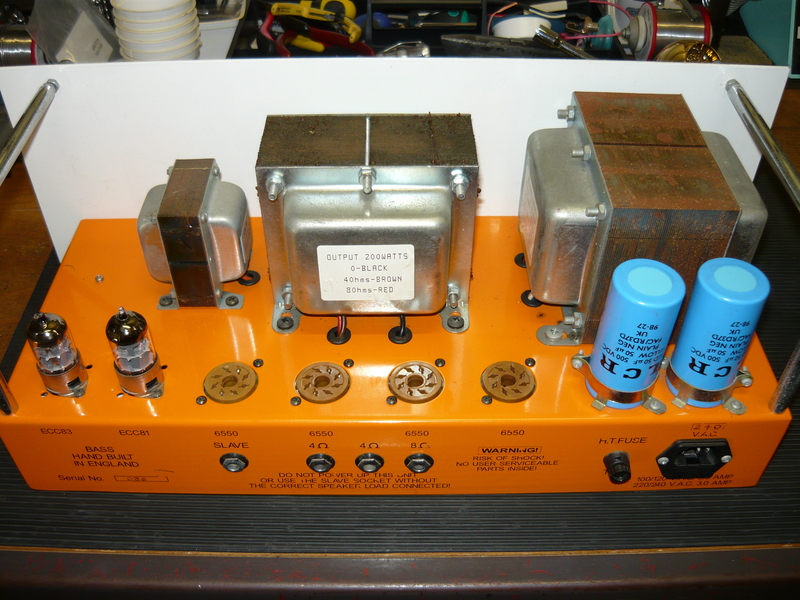 This is our third blog on the subject of service & repairs to Orange amplifiers (UK), here in Australia. This week we are discussing the AD200 model, a 200 watt rms amp head primarily intended for the bass guitarist, but actually this is one of those rare bass amps that sounds & records mighty fine for 6-string guitar as well. 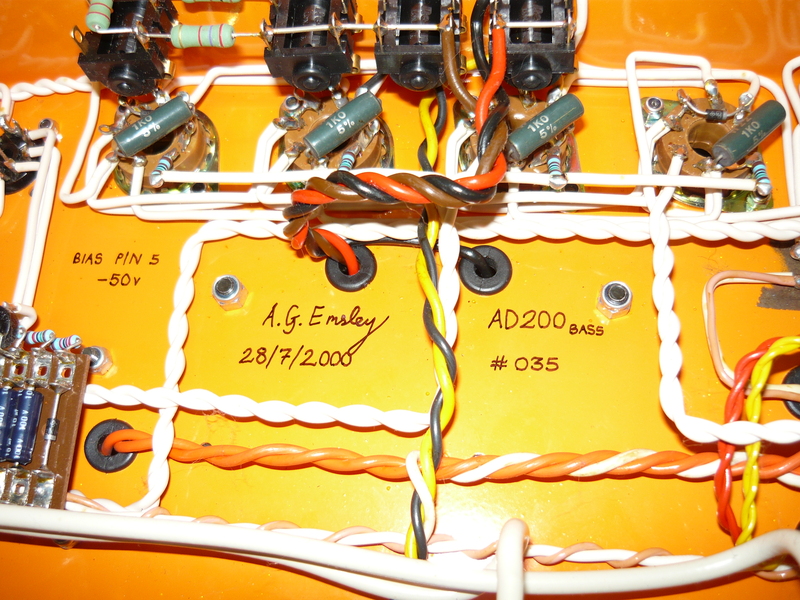 This particular AD200 is serial # 035 and is signed by A. G. Emsley on 28/7/2000. We suspect that the initial production of this model was completely hand-wired, and that later production moved to p.c.b. technology, with a revised circuit design. 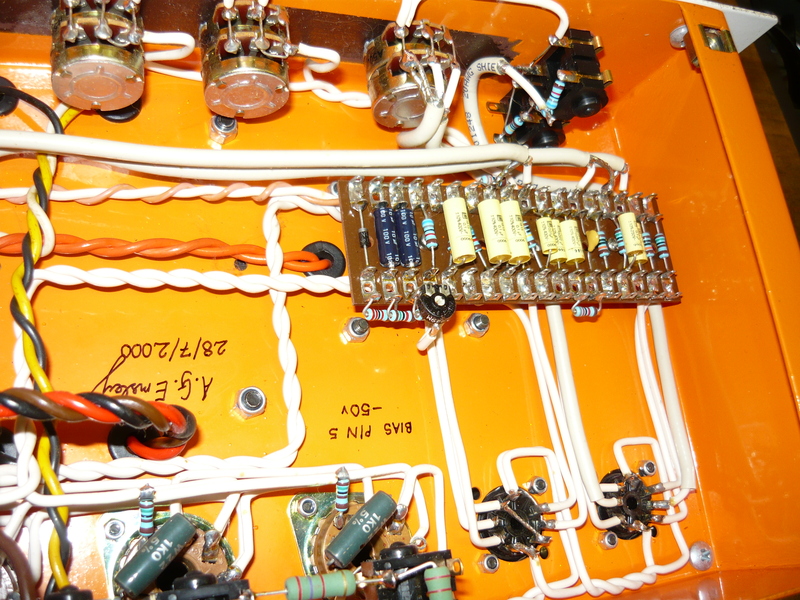 This model has a two valve preamp & no negative feedback loop, the later models have a three valve preamp incorporating a negative feedback loop. The standard of wiring & assembly is exemplary, by the way. 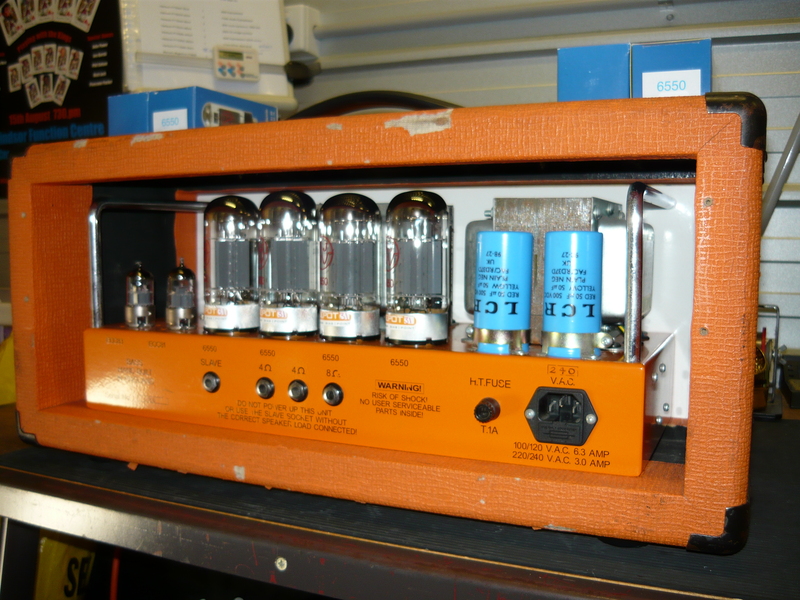 The amp was brought in to the workshop by Dave from Sounds Like Sunset for a general service & checkover, having been dropped. There weren’t any signs of physical damage, but the amp did require a re-valve and some minor servicing. We tightened up a loose transformer and loose handle, and removed a couple of foreign objects from within the chassis. Remember, amps such as the AD200 will generally have around 700V DC high voltage supply, so attention to electrical safety issues is critical. 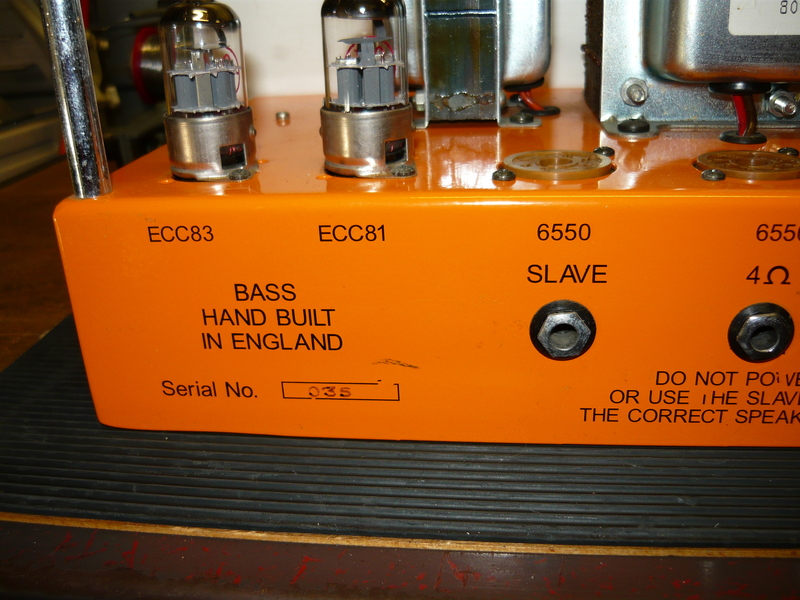 In any valve (tube) bass amp, microphony is a potential issue, so we test & select replacement valves appropriate to the customer’s intended application. We installed a JJ 12AX7 & 12AT7 in the preamp. This isn’t a particularly high gain design. This service job gave us the opportunity to try out the relatively new JJ 6550 power output valves, which have already received favourable reviews. 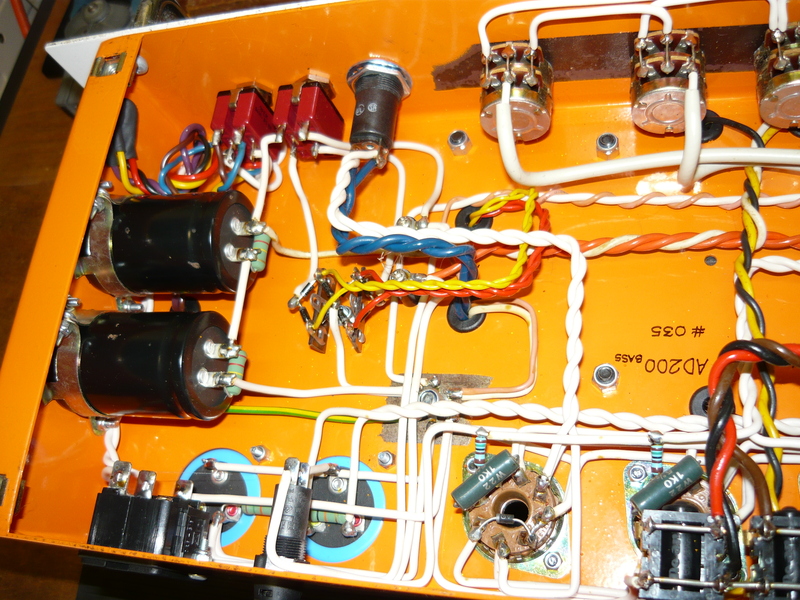 We installed a matched quad of JJ 6550 and rebiased the amp for 25 milliamps quiescent current for each 6550. This is adequate with an anode voltage of (in this case) 717V DC. A power output test delivered 29V into a 4 ohm resistive load at 400 Hz, which is approx 210 watts. We also carried out an electrical safety test to Workcover NSW requirements. Well, to finish up – the JJ 6550’s did indeed live up to expectations and we have every intention of using them again. They appear to be very well made and sound very good, although we haven’t actually made any comparisons with n.o.s. 6550’s. We have had intermittent reliability issues with the JJ 6L6GC, and sometimes the JJ EL34, to the extent that we now have switched to other brands for those valves. However, other JJ models have been very reliable. Many thanks again to Sounds like Sunset for their continued loyalty. 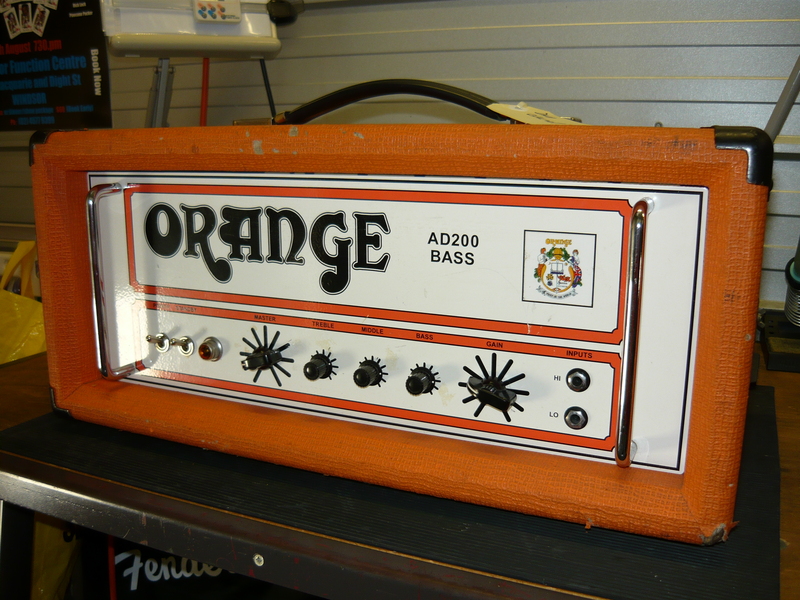 If you are a proud owner of an AD200, we can offer you world-class service/repairs & advice re your amp, we are here in Wyoming (Gosford), just north of Sydney. If you are a bass player who loves warm, valvey old-school tones, then the AD200 may be worth checking out. Regards, Ivan. This entry was posted on April 28, 2012 at 9:40 am and is filed under Amp Repair, Amps. You can follow any responses to this entry through the RSS 2.0 feed. You can leave a response, or trackback from your own site.